Skeleton Sea are two artists, João Parrinha and Xandi Kreuzeder. They make striking installations from beach waste with themes of pollution and environmental degradation as well as hope. The waste on the beach is a reflection of people´s effect on the oceans and their installations reflect both the wonder of the seas and the damage that men do. Their name comes from the similarities of their artwork to the shipwrecks along the Skeleton Coast in Namibia. They have displayed their work all over Europe. Here, João talks to WYW about their art and inspirations. 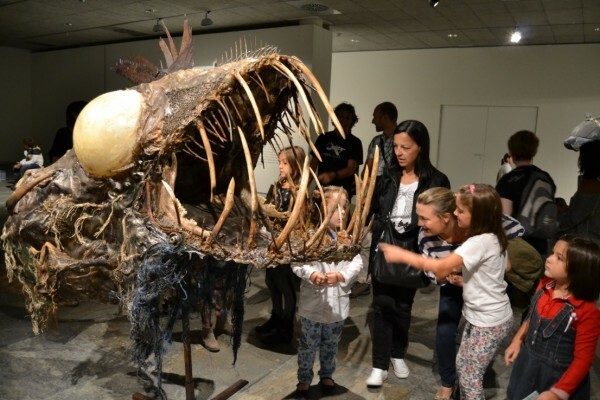 What sparked the concept of joining art and marine debris? 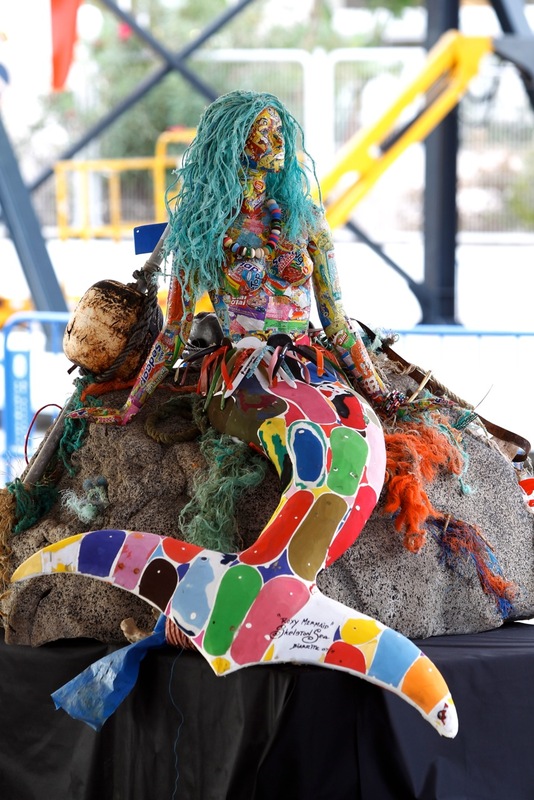 The concept of incorporating marine debris into my sculptures started in 2005. 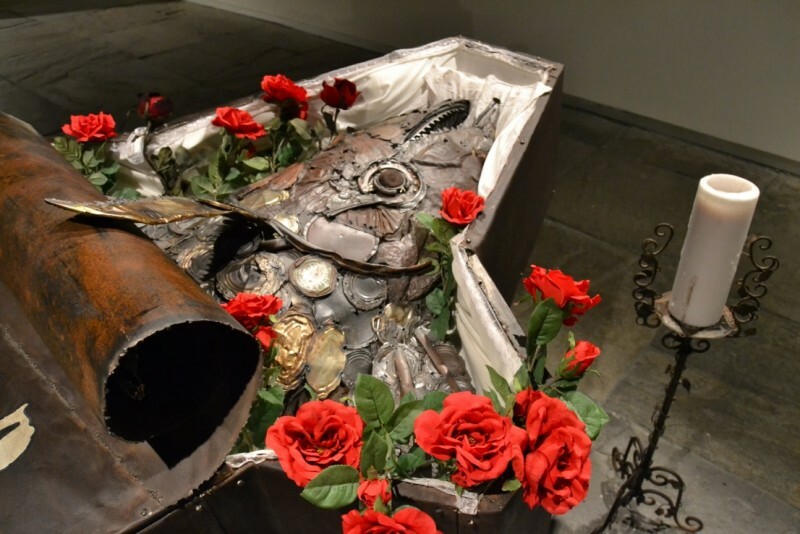 But for many years I have been working as a sculptor, mostly with iron but also mixing all kinds of materials, that I collected everywhere, joining pieces that I found interesting and making art with them. 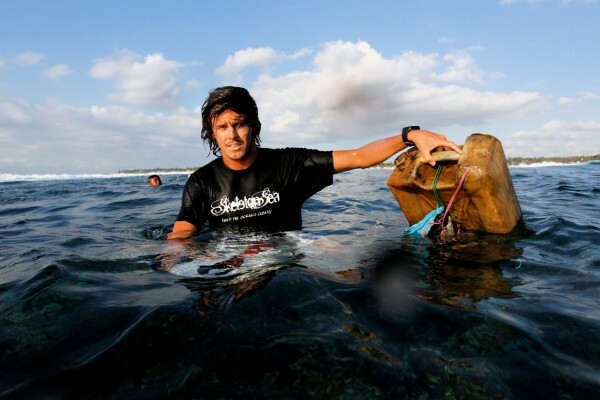 I met Xandi, who is a professional photographer and surfer, and we started to collaborate on joint sculptures. As we are both passionate surfers who spend a lot of time on the beach, we started to collect more and more materials from there, and so the concept gained more consistence, and we realized that we could get these two activities together. Our passion for art and our goal to do as much as we could to preserve our beaches and raise awareness for the uncontrollable growing plastic pollution around the world. “Roxy Mermaid”, by Xandi Kreuzeder (2011). Made with discarded plastic beach sandals and other mixed beach trash. Are all Skeleton Sea pieces created individually or do you have collectively created pieces? Most of the times we do them individually, but we also get together to build some pieces. 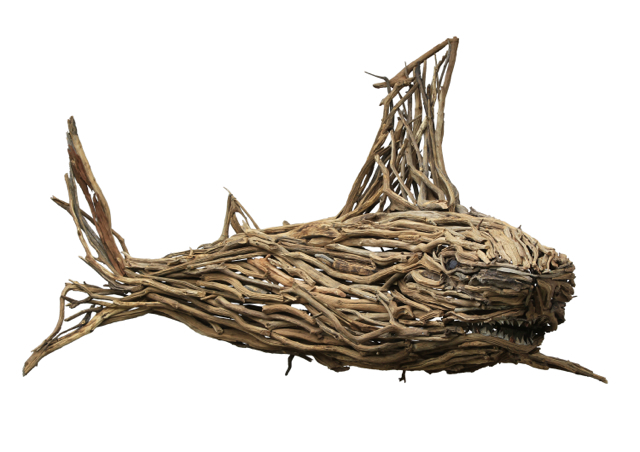 “Tiger Shark”, by Xandi Kreuzeder (2012). Made with mixed beach trash. Do each of you specialize in one type of material or do the two of you work with any material that comes in your hands? We work with all kinds of materials. This is a challenge that I love to be confronted with. I try to be as creative as possible. Every piece of material has a story behind it, a color, a texture that can be used to create something else, and I like to use these particularities to say something new. “Last Tuna Canned“, by Xandi Kreuzeder (2013). Made with rusty tuna cans. What are your influences in art? My influences from painting are surrealistic: Max Ernst, Dali. In drawing, H.R. Geiger, Moebius, Bilal. In sculpture, Rui Chafes, just to say a few. Jazz music is also a great influence in my life. 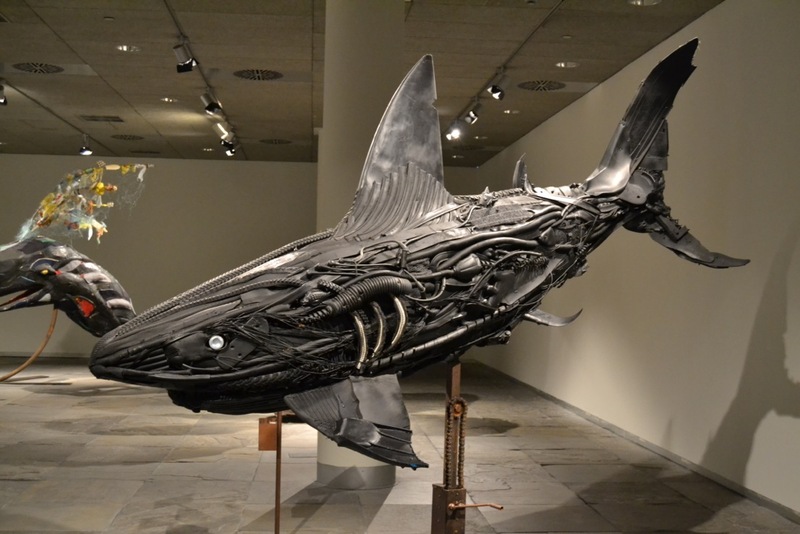 “Great White”, by Xandi Kreuzeder (2013). Made of driftwood. What are your ambitions for Skeleton Sea? What would be your dream come true? I´d say that my ambition regarding what we are doing with this project would be to spread as much as possible our message to keep the oceans clean, raise awareness to the pollution problems, protect nature and be in harmony with it. “Abyss”, by João Parrinha (2011). Made with beach trash, steel and wire. What has been Skeleton Sea’s proudest moment? The proudest moments are when I see the happiness on a kid´s face, or a grown up´s, when they create something out of “garbage”. 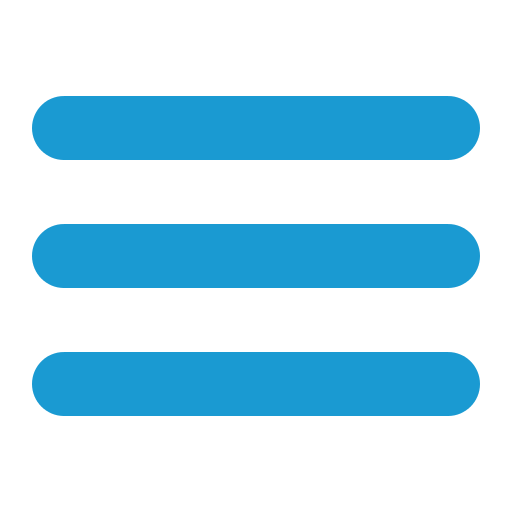 We want to change people mentalities regarding important issues like growing pollution, overfishing, oil spills, etc. We want to make people realize that we all can make a difference by acting towards preserving our Home. We hope to do this through our art.